Operators) , Smt. Amarjeet Kaur (National Secretary , Communist Party of India) and Shri Prashant Tandan. Mahajan), Janki Devi( Ms. Swati Saxena), Bhawana (Ms. Jyoti Malik), Sunder Lal( Mr. Anant Dhaiya), Sangeeta (Ms. Monika Jha), Payal( Ms. Divya Sharma), Campaigner/Teacher ( Ms. Nikita Patil) and Narrator ( Mr. Amit Bhatt). Just after the play, all the RJs present in the convention were awarded by the Chief Guest in appreciation of their voluntary contribution and dedication to Radio Udaan. 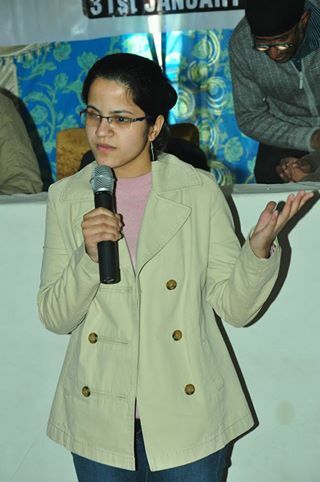 Next, there was a Presentation session by Ms . Divya Sharma. The topic of the presentation was “Building Self esteem.” There was a game session also for cheering up the audience. 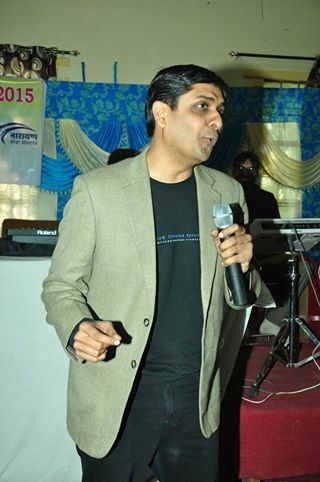 The Game shows were hosted by Mrs. Minal Singhvi and Mr. Ashish Singla. The good thing about these activities was that all the people present there actively participated in these. And finally, the convention ended up on an enthusiastic note with a cultural program. The management, RJs and all the spectators enjoyed the dance and songs. People came up with their solo songs and all danced together on the beats of Radio Udaan. The convention was anchored by Mr. Amit Bhatt, Mr. Danish Mahajan and Mr. Saifur Rehman. The entire music was given by Anant Dhaiya and Party.